Internet safety risks for small businesses increase each year. Small businesses face steep challenges to ensure that their digital assets and customers are well protected from ever-advancing threats. The stakes are high as small businesses may not be able to sustain their operation after a major cyber security breach. This webinar is designed to help small business owners get started with insights on cyber security awareness, today’s complex threats, how to protect their company, educate employees, the recovery process, and where to get additional help. Jon Clay has worked in the cybersecurity space for over 21 years. He is responsible for managing marketing messages and external publication of all threat research and intelligence within Trend Micro as well as different core technologies. As an accomplished public speaker with hundreds of speaking sessions around the globe, Jon focuses on the threat landscape and the use of big data in protecting against today’s sophisticated threats. Jon is also a volunteer speaker for the Trend Micro Internet Safety for Kids and Families program. 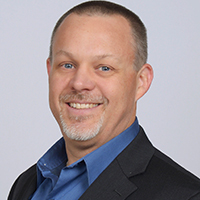 Ryan Delany has more than 15 years of experience planning, designing and implementing security products in a variety of enterprises. Ryan has been with Trend Micro since 2002, responsible for planning and carrying out global marketing strategy for the managed service provider program. He was awarded Sales Engineer of the Year in 2008, has published multiple white papers highlighting deployment and configuration best practices and has represented the company at industry events and trade shows to educate and inform customers about Trend Micro solutions. 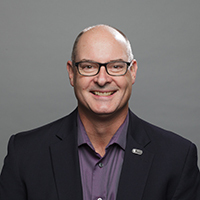 Mitchel heads Trend’s CSR and the Trend Initiative for Education (TIE)—bringing his passion to make a safer digital world, decades of industry experience, and proven successes as a leader. 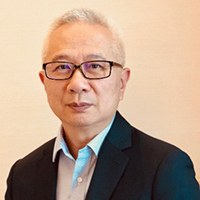 In November 2017 Trend Micro CEO, Eva Chen appointed Mitchel to head CSR and education programs, where he engages nonprofit and government organizations to help promote our digital education outreach efforts. He has been with Trend Micro since 2003, serving 11 of these years as Senior Vice President of Global Technical Support. As part of the executive team, he was responsible for all customer support functions—developing an internationally recognized award winning support team. He also successfully transformed both commercial and consumer support teams for the era of cloud and IoT technologies.